The recently revamped historic Bridge Street area in Bradenton Beach is located on the southern end of Anna Maria Island. It draws visitors from all over with attractions like the Bridge Street Pier, open air concerts, amazing restaurants, art showings, holiday events, outdoor markets, and nearby Coquina Beach. Bridge Street has a long history for being home to the first vehicle access on the island, the wooden Cortez Bridge, which was later taken down and turned into the current pier. While you’re enjoying the events, pier, attractions, or nearby beaches in Bradenton, walk over and grab a quick bite to eat at any of these 4 must-visit top-rated restaurants on Bridge Street. 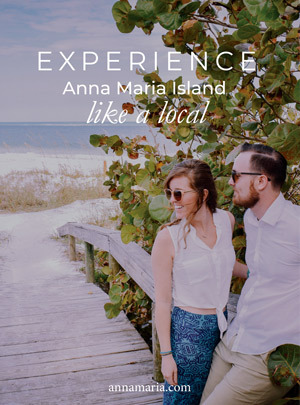 Anna Maria Oyster Bar, nicknamed AMOB, is located right on the Bridge Street Pier and is consistently rated as one of the island’s best seafood restaurants. This local restaurant chain is open for breakfast, lunch, and dinner. It offers an American and coastal themed menu with a fun and festive atmosphere and outdoor waterfront seating. The owners of AMOB have over 20 years of culinary experience and it shows in the quality of the food here. You can bet that you and your group will love the fresh seafood here and the memorable experience of dining with a fantastic water view. 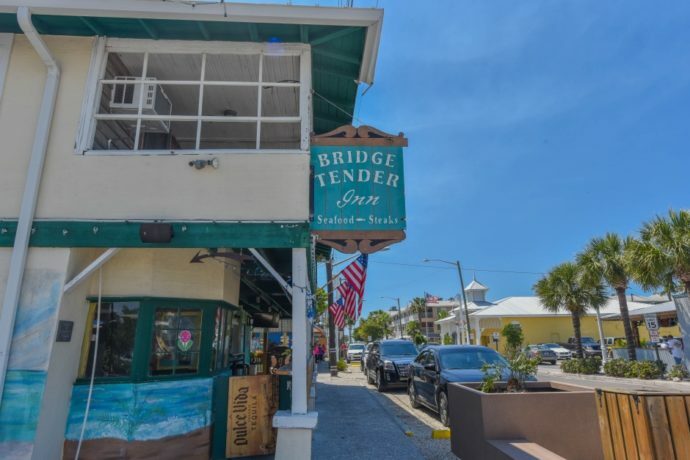 The Bridge Tender Inn features an energetic setting with live music and a dockside bar to enjoy the warm weather and gorgeous water views. This restaurant has been around since 1989 and is certainly a local favorite. Choose from several mouthwatering items on a balanced surf and turf menu such as grouper, seared tuna, and gulf shrimp along with an array of non-seafood dishes including steak, BLTs, Reubens, roasted duck and many others. Hours: 5:00 p.m. to 10:00 p.m. The Blue Marlin Seafood Restaurant was launched by Adam Ellis in November of 2011 in a historic cottage and features some of the most exclusive and delicious local seafood that you’ll find. Ellis is a former fisherman and restaurant industry veteran who believes in the importance of always using the freshest locally sourced ingredients. This is the place to go to indulge in expertly prepared locally caught seafood from the nearby fishing village of Cortez. No matter what item you order here, it’s sure to be made the right way. 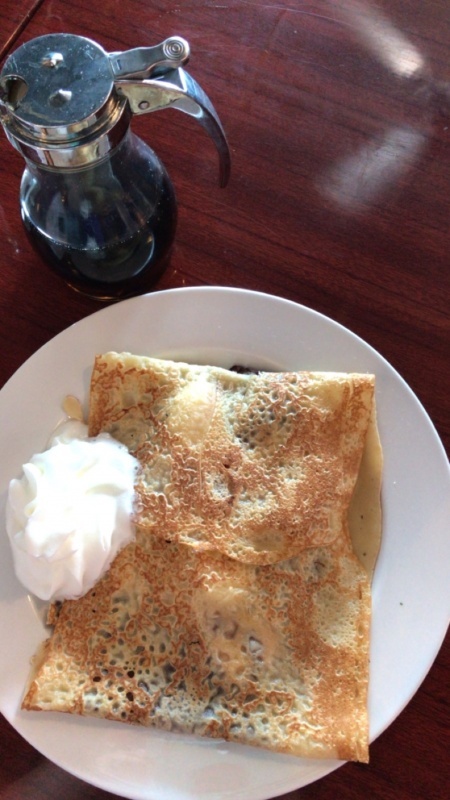 From France to Florida, the Island Creperie brings European cuisine to your favorite beach destination. This is the ideal spot for breakfast and lunch when you want something unique. They offer a great selection of menu items to tempt your taste buds. From crepes to breakfast cocktails, salads, and sandwiches you just might visit this restaurant several times during your vacation. If you want an indulgent beginning to your morning, try the Ooh La La Crepe with ice cream, caramel, and chocolate sauce. If you want something lighter, grab one of their amazing coffee drinks and a croissant. It has been a popular Bridge Street restaurant since its recent launch, so drop in and see why locals have quickly adopted this fun eatery!